Status: Eliminated by Summer Glau in Round 1! Abby Elliott is a comedic actress and cast member of Saturday Night Live, making her a third generation SNLer (her grandfather, Bob Elliott, made an appearance in the 70’s and her father, Chris Elliott, was a cast member). She also does regular sketch work on CollegeHumor.com and currently has a guest roles on both How I Met Your Mother and Happy Endings. Even though she grew up “in the business,” Abby worked hard for everything she has achieved, having trained and performed with both The Groundlings and the Upright Citizens Brigade. 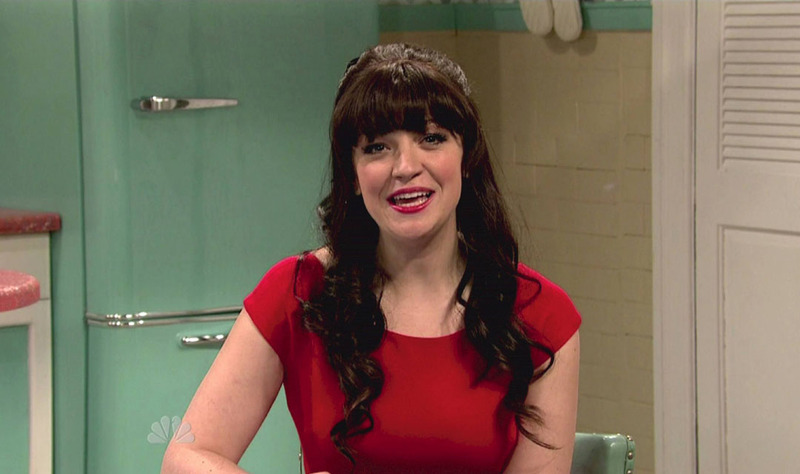 Her long list of notable impressions on SNL include Anne Hathaway, Katy Pery, Anna Faris, Rache Maddow, Brittany Murphy, Chloë Sevigny, Ke$ha, and Zooey Deschanel.